For almost a decade, the nonprofit Save-A-Life Foundation (SALF) claimed actor David Hasselhoff served as the organization's "Honorary Chairman." Reportedly now under investigation by the Illinois Attorney General for the "possible misappropriation of $9 million" of federal and Illinois funds -- money which was supposed to provide first aid training classes in public schools -- SALF touted Hasselhoff's affiliation in the media, on their website, in fundraising materials, and in grant applications for which SALF received hundreds of thousands of dollars. But the Baywatch star says it's all a lie. So who originated SALF's claims about The Hoff? 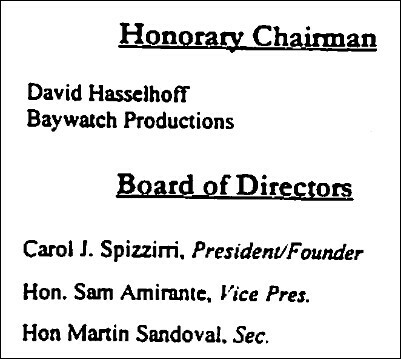 (SALF) had requested, through the production office at Baywatch, for David to do a psa about saving lives back in the 1990's while he was starring on Baywatch. The letter you sent me was prepared and written by someone in the Baywatch production office around the same time. It's unclear why grant co-sponsors State Senator Raymond Poe and former senator Walter Dudycz thought taxpayers should buy a building for a Chicago nonprofit. As (SALF) was looking to move its operation statewide in 2003, it got $200,000 in state grants to buy a building on Capitol Avenue in Springfield. When the foundation dissolved in 2009, it sold the Springfield building for $109,750, according to tax records. But the group did not list the sale in its final filing with the Attorney General's Charitable Trust Bureau. WCIA-3 News obtained documents revealing correspondence between Save-A-Life officials and the Illinois Attorney General. In the months following the dissolution, the AG repeatedly asks for documentation on the money obtained thought the sale. Spizzirri never provides any accounting of the money. The correspondence ends in August of 2010. 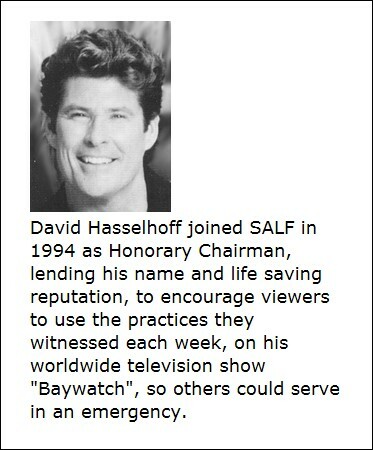 The $200,000 for the building wasn't the only grant SALF obtained using Hasselhoff's name and claimed affiliation. I'll be reporting about that in the near future.